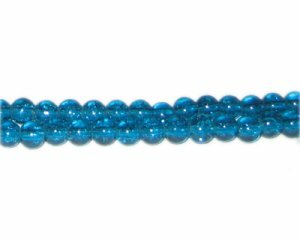 These are 6mm Deep Aqua Crackle Glass Bead, approx. 74 beads on a 16" string. More than I hoped for! !